He did not elaborate on the type of attack India was about to launch but did suggest nothing was beyond India’s guile. Several militant groups operate in Balochistan, which is also the scene of a low-level insurgency by separatists. The region also highest the highest influx of South Asian workers. The premier expressed his grief at the loss of innocent lives and directed the authorities to ensure the best medical treatment for the injured. “Deeply saddened & have strongly condemned the terrorist attack in Hazarganji market area of Quetta targeting our innocent people. I have asked for an immediate inquiry & increased security for the ppl. 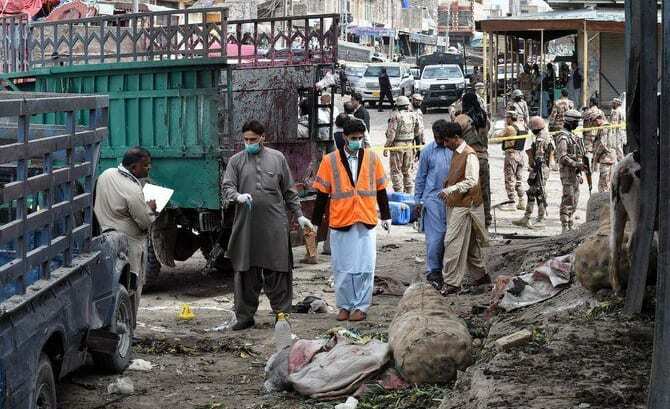 Prayers go to the families of the victims & for early recovery of the injured,” PM Imran tweeted. Quetta is the provincial capital of Balochistan, an industrial city which is habitat to many Pakistanis who come to work in the region. It is located by the border of Afghanistan in the south. It is one of the most resource-rich areas of Pakistan but at the same time is one of the most deprived when compared to Punjab. Over the last few years, local reports and journalists have suggested that Indian backed propaganda is pushing Balochistan for independence. The border at Balochistan is the least difficult one for anyone to migrate across. Although officials in Pakistan suggest this is not true, locals living in Baloch suggest getting across the border is easy and can be done daily if they want. According to Pakistani media reports, the border is used to smuggle arms and militia into Pakistan by extremists. India has been investing heavily in Pakistan. Strategically it is able to control the east and western borders of Pakistan. The investment in infrastructure has developed a stronghold in Afghanistani politics and is using the tensions between Afghanistan and Pakistan over the war on Terrorism and exploiting them. Opposition leader in the National Assembly Shahbaz Sharif prayed for the departed souls and expressed condolences to the grieving families of the victims. He said the nation and its institutions have rendered great sacrifices to eliminate terrorism from the soil.